Here is a summer item I like to renew every year. I’m lucky to live close to the beach, so my summer weekends are mostly at the beach or near it. 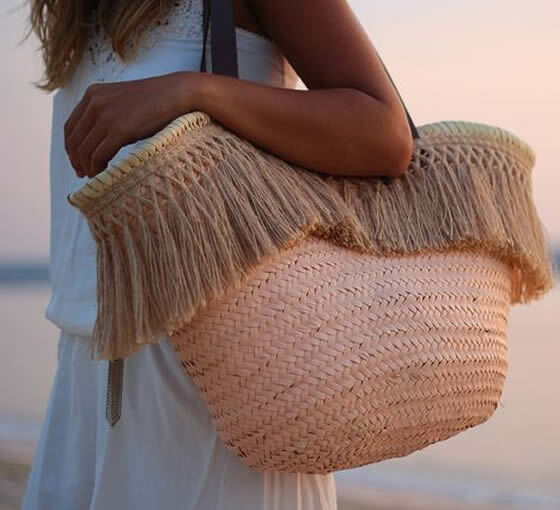 I also like to carry with me all the essentials that make me feel safe: sun protection, hat, hair protector, water bottle, etc, so I need a comfortable bag, big enough to put everything inside. 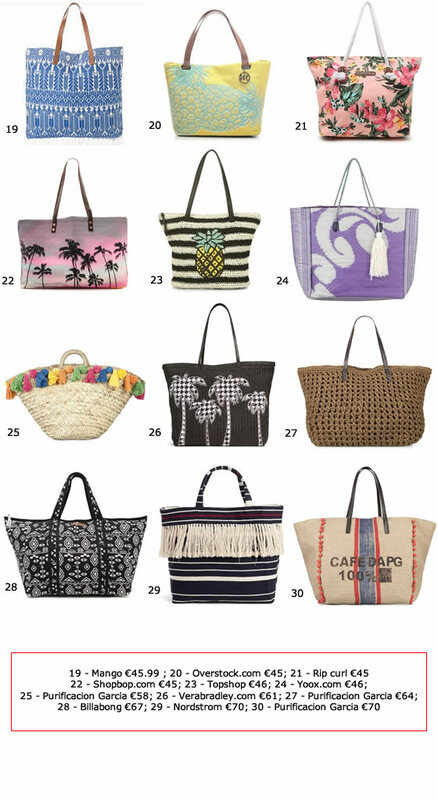 Because I tend to put so much stuff inside, most of the bags are used to the limit, and plus there are always so many cute beach bags that I end up buying a new one every year. 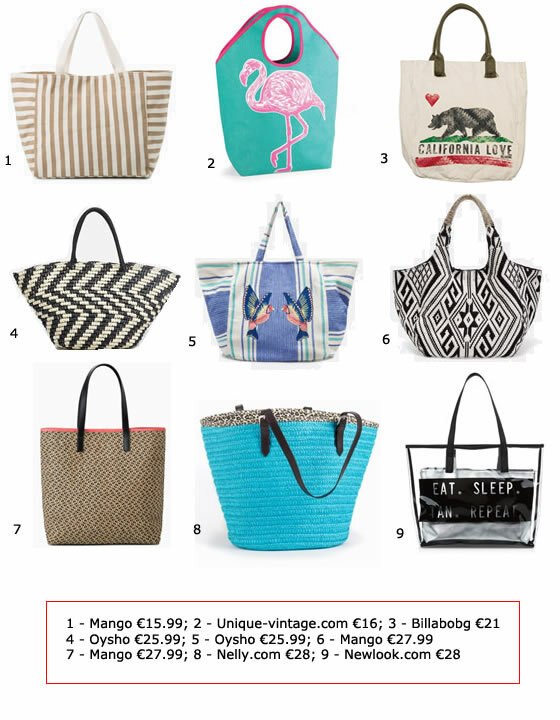 Check my selection of 30 beach bags that are super cool! Essa de flamingo é muito linda! Para mim este verão ganham as malas de palha!! adoro! 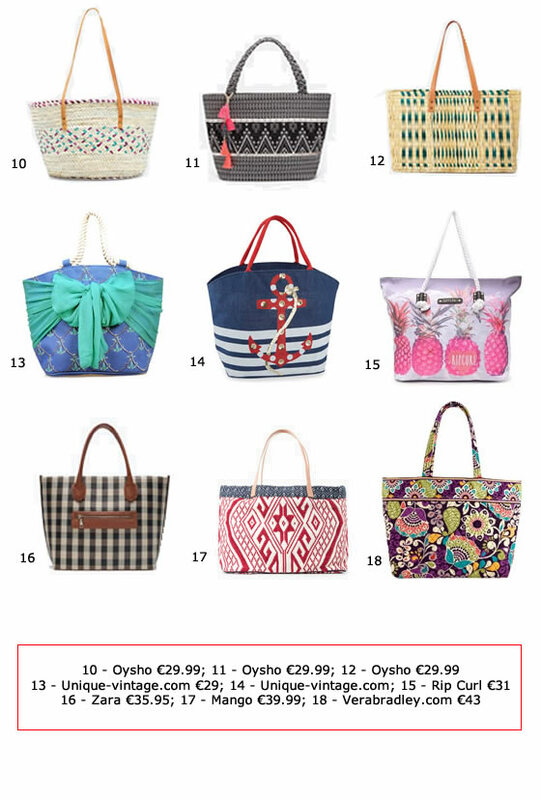 The Chanel beach bag is a dream! Tenho de admitir que regra geral uso os sacos que me oferecem dos cosméticos. Não quero estar preocupada se estrago ou se sujo ou se roubam. Os sacos apresentados são lindos, mas eu usaria para um passeio descontraído.